Hans Crippleton made us stop and think: Have you ever seen one of those movies where you actually think to yourself “Holy Sh*t!”. We think everyone certainly has at one time or another. Remember seeing RoboCop for the first time and the guy gets melted by toxic waste? Definitely one of those holy sh*t moments. Hans Crippleton has quite a few of those moments. As a viewer you might be left wondering if you should vomit, laugh, or rewind it to make sure you actually saw what you just think you did! Tonight we are joined by Jimmy Lee Combs and surprise special guest Kevon Ward, director and creator (respectively) of the new movie Hans Crippleton: Talk to the Hans! We got the chance to talk to Kevon and Jimmy about Hans Crippleton and get some insight into their fun and sometimes disturbing thoughts behind movies that may have influenced them with a holy sh*t moment. We can actually see how some of it turned out and found its way into the movie. Who is this Hans Crippleton character? As we learned during the show, Hans Crippleton is actually the creation of Kevon Ward himself. 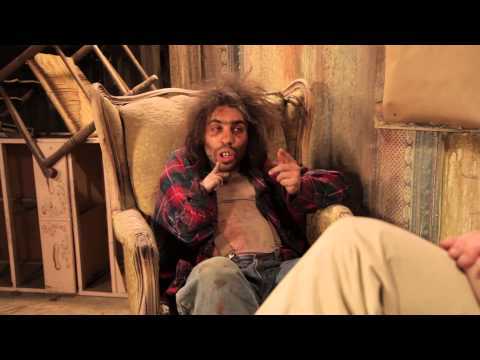 Hans is a character that Kevon created over time while playing a role at haunted houses in his home state of Colorado. Hans’ celebrity in the movie isn’t really that far removed from reality. Kevon refined the character over time, and Hans is something of a staple around the Colorado horror scene. Kevon has done a seriously bang up job bringing this country bumpkin to life in our opinion. You can find out more about Hans Crippleton at the movie website at: http://www.hanscrippletonmovie.com/ or read DungeonMaster’s review of the movie below. Hans Crippleton has what might be some of the best cover art ever. Yet another hidden talent of Kevon Ward’s. Hans Crippleton, in this viewers opinion, is the logical extreme of any “reality” TV show. It is no more silly than Ghost Hunter and the Real Wives of Wherever rolled into one. We as the viewers are essentially treated to an episode of Horror Hunts with Barnaby Hunt, played by Andy Hankins. The “show” follows the life of Hans Crippleton, played disturbingly well by Kevon Ward, and his inbred family and their lives living on a rundown farm. We are immediately greeted with a seriously “holy Toledo!” moment near the beginning of the film when learn of Hans’ birth in a dirt field as his mother is being chased by zombies. Hans is dragged through a field by his umbilical cord. This scene immediately let’s us know exactly why Hans is the way he is and what kind of movie this is going to be. The Crippleton’s are essentially the Kardashians of hilly billy, inbred zombie killers and Hans is the Kim of the family. He is the celeb among celebs of their community. 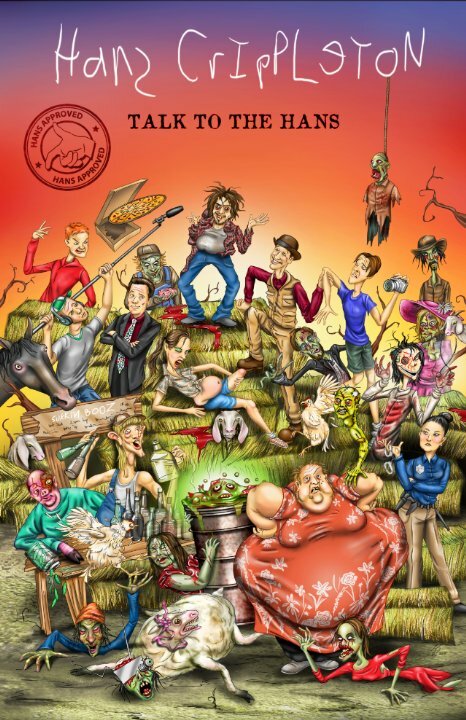 On a much deeper level, this movie pokes fun at the cliques in the film and acting community. Celebrity and its micro-chasms. Hans makes a “living” attending Horror Conventions, where he is regarded as one of the celebs. Even the entire inbred Southerner theme is actually more of an allegory for the incestuous relationships that go on in the movie business as a whole. While the horror movie genre would be the first guess, I tend to think this is shot across the bow at all movies like it. Even when you look at Comic Book conventions, and the stars they now attract you see the same people over and over again, celebrity begetting celebrity. Any Star Trek convention without Jonathan Frakes isn’t really a Star Trek convention is it? 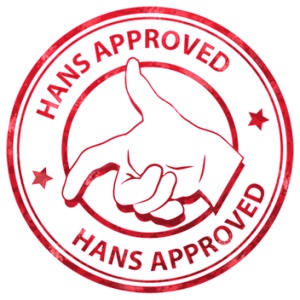 Any horror convention that isn’t “Hans Approved” really isn’t a horror convention! Hans himself is a reminder of the price of celebrity and how fickle the world can be. It might also be a lesson to not take your 15 minutes too seriously and just enjoy them. I don’t want to put in too many spoilers so I will wrap it up by writing this: Watch this movie with an open mind, and an open mouthed laugh and you will enjoy it. Micro-budget films like this are something that are best approached with levity in your heart. You will find it much more entertaining if you do. If you expect big budget explosion after explosion, scenes doctored to the nth degree, and unlimited re-shoots to make it “perfect”, than this type of movie is probably not for you. Jimmy Lee Combs is a welcome addition to the micro-budget film genre, giving us a film that is funny, has layers, doesn’t bury its message too deep, but allows us to dive in deep if we want to. Jimmy lets all that is sacred just hang out there like a piñata to be beat upon, and like blind-folded little kids, we can run around and laugh and have a good time doing so.